The aim of this study was to investigate the effects of exercise, vs rest, on circulating insulin and glucose, following pre-exercise insulin pump basal rate reduction. This was an open-label, two-stage randomised crossover study of 14 adults (seven women, seven men) with type 1 diabetes established on insulin pump therapy. In each stage, participants fasted and insulin delivery was halved following a single insulin basal rate overnight. Exercise (30 min moderate-intensity stationary bicycle exercise, starting 60 min post-basal reduction) and rest stages were undertaken in random order at a university hospital. Randomisation was computer-generated, and allocation concealed via sequentially numbered sealed opaque envelopes. Venous blood was collected at 15 min intervals from 60 min pre- until 210 min post-basal rate reduction. Changes in plasma free insulin (the primary outcome), and changes in plasma glucose, with exercise were compared with changes when resting. Outcomes were assessed blinded to group assignment. Following basal rate reduction when rested, mean (± SE) free insulin decreased by 4.9 ± 2.9%, 16.2 ± 2.6% and 18.6 ± 3.2% at 1, 2 and 3 h, respectively (p < 0.05 after 75 min). With exercise, relative to rest, mean free insulin increased by 6 ± 2 pmol/l after 15 min and 5 ± 2 pmol/l after 30 min (p < 0.001), then declined post-exercise (p < 0.001). Three participants (mean baseline glucose 5.0 ± 0.1 mmol/l) required glucose supplementation to prevent or treat exercise-related hypoglycaemia. In the other 11 participants (mean baseline glucose 8.4 ± 0.5 mmol/l), glucose increased by 0.8 ± 0.3 mmol/l with exercise (p = 0.028). Halving the basal insulin rate 1 h prior to exercise did not significantly reduce circulating free insulin by exercise commencement. Exercise itself transiently increased insulin levels. In participants with low-normal glucose pre-exercise, hypoglycaemia was not prevented by insulin basal rate reduction alone. Greater insulin basal rate reduction and supplemental carbohydrate may be required to prevent exercise-induced hypoglycaemia. The online version of this article (doi: 10.1007/s00125-016-3981-9) contains peer-reviewed but unedited supplementary material, which is available to authorised users. Exercise has health benefits for people with type 1 diabetes, including improved physical fitness, insulin sensitivity, lipid profile and blood pressure, which reduce cardiovascular risk . Current ADA recommendations for people with diabetes are for at least 150 min/week of moderate-intensity aerobic physical activity , corresponding to 30 min/day for 5 days per week. Evidence for improved overall glycaemia with exercise in type 1 diabetes is inconsistent [3, 4], and likely impacted by exercise-related insulin and diet regimens. Endogenous insulin levels fall with moderate- and high-intensity exercise in people without diabetes , maintaining normoglycaemia and enabling mobilisation of carbohydrate and lipid energy reserves for exercising muscle. However, matching subcutaneous insulin delivery to the varying insulin requirements of exercising people with type 1 diabetes remains a therapeutic challenge . Hypoglycaemia risk increases in people with type 1 diabetes during and after exercise via various mechanisms including increased muscle glucose use, inadequate hepatic glucose output, accelerated insulin absorption and increased insulin sensitivity [7, 8, 9]. Despite the numerous benefits of exercise, fear of hypoglycaemia has been reported as the strongest barrier to regular physical activity for those with type 1 diabetes . Although carbohydrate ingestion can prevent exercise-related hypoglycaemia [11, 12], the timing, amount and composition is debated, and additional carbohydrate reduces the weight-related benefits of exercise. Both prior hypoglycaemia and prior exercise impair counter-regulatory responses to hypoglycaemia in type 1 diabetes [13, 14]. Conversely, insufficient insulin during exercise exaggerates the glucagon response, increasing hepatic glucose output and ketogenesis, and amplifies the catecholamine response, thereby impairing glucose use and increasing lipolysis . Further complicating appropriate insulin dosing are the varied glycaemic responses to exercise type (aerobic, resistance or mixed) [15, 16]. For people with type 1 diabetes, insulin pump therapy provides the most flexible insulin delivery, may reduce severe hypoglycaemia risk [17, 18], and may be better placed than multiple daily insulin injections to address exercise-related insulin requirements [9, 19]. An observational study of people with type 1 diabetes undertaking aerobic exercise compared those on insulin pump therapy with those using multiple daily injections. Similar glucose levels were reported during exercise, though less hyperglycaemia occurred post-exercise in those treated with insulin pumps . Insulin pump dose adjustment advice for exercise is inconsistent, and based upon limited evidence [19, 21]. Insulin basal rate reductions of 30–100%—commencing 30–120 min pre-exercise until exercise completion—are generally advised to avoid exercise-related hypoglycaemia [22, 23, 24, 25], though their optimal timing and magnitude for various types of exercise are not fully elucidated. Suspension of basal insulin at exercise commencement can reduce hypoglycaemia, though often at the expense of hyperglycaemia post-exercise . 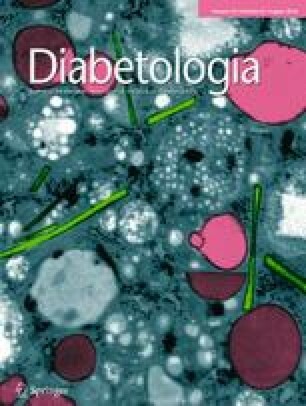 Pharmacokinetic profiles of subcutaneously injected rapid-acting insulin analogues suggest 50–55 min to maximum insulin levels [26, 27]. In contrast, when one of these insulin analogues was delivered via insulin pump, following pump suspension plasma insulin levels fell by ∼50%, ∼60% and ∼70% at 1, 2 and 3 h, respectively, with resultant hyperglycaemia ∼3 h post-suspension . We hypothesised first that current health professional practice regarding insulin pump basal rate reduction prior to moderate-intensity aerobic exercise, such as halving basal delivery 1 h pre-exercise, may not result in a timely reduction in circulating free insulin; and second that exercise itself impacts insulin absorption during pump therapy. The present study aimed to characterise circulating free insulin levels following a 50% reduction in basal insulin delivery pre-exercise, and to examine the effects of exercise on free insulin and glucose levels. The study was conducted at St Vincent’s Hospital Melbourne following approval by the hospital’s ethics committee, and undertaken in accordance with the principles of the Declaration of Helsinki. Each participant provided written informed consent. All study visits were conducted by the same two researchers. Participants were aged >18 years with type 1 diabetes, able to perform moderate-intensity exercise, and on insulin pump therapy for ≥3 months with established insulin delivery variables including overnight basal rates between 0.50 and 1.40 U/h. To enable implementation of a single basal rate from 02:00 hours on study days, participants were excluded if their usual 02:00–07:00 hours basal rates varied by >0.2 U/h. Other exclusion criteria were ischaemic heart disease symptoms, abnormal electrocardiogram, cardiac condition precluding exercise, diabetic ketoacidosis or severe hypoglycaemia within the preceding month, pregnancy, renal impairment (estimated GFR <60 ml min–1 1.73 m–2), BMI <18 or >32 kg/m2, skin condition in area of cannula or device placement, and allergy to insulin aspart. This was a prospective, open-label, two-stage randomised crossover study (Fig. 1). Following clinical assessment, participants were allocated to exercise and rest stages sequentially in random order, with 1–8 weeks between study stages. Randomisation was performed by computerised sequence generation, and allocation concealed via sequentially numbered sealed opaque envelopes until enrolment completion. Outcomes were assessed blinded to group assignment. Subcutaneous aspart insulin (NovoRapid, Novo Nordisk, Bagsvaerd, Denmark) was infused as per participants’ usual pump settings via standardised equipment: Paradigm Veo insulin pump (Medtronic, Northridge, CA, USA), 9 mm cannula inserted 90° to anterior abdomen, 60 cm infusion line. The insulin basal rate was reduced by 50% 1 h pre-exercise, and at an equivalent time during the rest stage. The magnitude and timing of basal reduction was informed by published literature [19, 21, 22, 23] and a survey of 17 insulin pump-experienced healthcare professionals in Melbourne, Australia. Those surveyed provided recommendations for a hypothetical patient new to insulin pump therapy undertaking 30 min of planned moderate-intensity bicycle exercise. Survey results were to advise the patient to institute a temporary basal rate reduction of median (range) 50% (0–66%) starting 60 min (0–120 min) pre-exercise until 60 min (0–210 min) post-exercise. Only four of 17 clinicians surveyed recommended supplemental carbohydrate pre-exercise. Day 1: Participants attended the temperature-controlled clinical trial centre for insulin delivery line change. To achieve a constant overnight basal insulin delivery rate during the study, basal rate adjustments of up to 0.2 U/h were made if required. For safety, real-time continuous glucose monitoring was implemented using an Enlite glucose sensor with MiniLink transmitter (Medtronic, Northridge, CA, USA) which transmitted glucose levels to the insulin pump every 5 min. Day 2: Participants undertook their usual activities. Day 3: Participants fasted, did not administer insulin boluses after midnight, maintained a constant basal rate from 02:00 hours, and attended the clinical trial centre by 08:00 hours. Bilateral 20 gauge intravenous cubital fossa cannulae were inserted, and intravenous normal saline (0.9% NaCl [154 mmol/l]) commenced at 100 ml/h. Participants were observed resting for 270 min, with non-arterialised venous samples collected (from the contralateral arm to intravenous fluid infusion) at 15 min intervals for plasma insulin and glucose, and whole blood meter glucose (Fig. 2). Following 60 min rest, the basal rate was reduced by 50% for 210 min, after which participants resumed their usual activities and diabetes care. Study procedures were as for the rest stage, with addition of a standardised exercise protocol on Day 3 commencing 60 min after insulin basal rate reduction (Fig. 2). The exercise was a 30 min moderate-intensity stationary bicycle protocol, consistent with ADA exercise guidelines . Workload was gradually increased over 5 min to a target of 65–70% of age-predicted maximal heart rate , followed by 25 min maintenance of target heart rate with bicycle wattage adjusted by the investigator to maintain the target. Following exercise, participants were monitored at rest for 120 min. Samples were collected as for rest stage Day 3. Study clinical decisions were based upon meter glucose, which was subsequently confirmed by plasma glucose measurement. Glucose supplementation was administered only in the setting of hypoglycaemia (blood glucose <3.9 mmol/l) or impending hypoglycaemia (blood glucose <4.4 mmol/l and falling). The primary study outcome was the impact of exercise compared with rest, following a basal rate reduction, on changes in circulating free insulin levels. Secondary outcomes included the impact of exercise on glucose levels, and on the requirement for glucose supplementation to prevent or treat hypoglycaemia. Plasma anti-insulin antibodies were measured via an in-house radioimmunoassay, adapted from a published method , to determine the proportion of sample bound without anti-serum compared with the assay upper limit of normal. Insulin was quantified by radioimmunoassay, competing with 125I-labelled insulin on insulin-specific anti-sera. When antibodies were negative, plasma free insulin was quantified by an in-house insulin assay, adapted from a published method ; intra-assay CV 4.1% at insulin level 39 pmol/l, and 4.4% at 161 pmol/l. When antibodies were present, plasma was pre-treated with polyethylene glycol to precipitate bound insulin , then free insulin was measured by radioimmunoassay using a human insulin-specific radioimmunoassay kit (Millipore, Billerica, MA, USA); intra-assay CV 10.6% at insulin level 38 pmol/l and 6.1% at 167 pmol/l. C-peptide was measured by chemiluminescent microparticle immunoassay (Abbott Architect; Abbott Laboratories, Abbott Park, IL, USA), with a lower limit of quantification of 0.03 nmol/l. All insulin samples from each participant were measured in the same assay run. Laboratory plasma glucose was quantified using the glucose oxidase method  (YSI 2300 STAT Plus Glucose Analyzer; YSI Life Sciences, Yellow Springs, OH, USA); assay CV 2.4% at 4.4 mmol/l and 2.9% at 26.0 mmol/l. Meter glucose was measured by Optium Xceed (Abbott Diabetes Care, Whitney, UK) using the glucose oxidase method with whole venous blood. This meter meets the International Organization for Standardization 15197:2013 standard . Results are presented as mean ± SE, unless otherwise specified. This was an exploratory study, with an absence of available data allowing calculations of statistical power. Although there is information available regarding pharmacokinetic and pharmacodynamic variability of insulin analogue injections , the authors are not aware of published data regarding intra-individual variability of insulin analogue absorption when infused subcutaneously via insulin pump. The variability seen with insulin injections may not translate to basal infusion via insulin pump. Statistical analyses used Stata Version 13.0 (StataCorp, College Station, TX, USA). Analyses included descriptive statistics, Student’s paired t tests, and repeated measures ANOVA to compare plasma insulin and glucose between study stages, and to evaluate changes after insulin basal rate reduction and with exercise relative to rest. The significance of factors was estimated using the underlying regression model after performing ANOVA. The impact of multiple comparisons was accounted for by using the Bonferroni correction method. Two-tailed p values <0.05 were considered statistically significant. Figures were created using GraphPad Prism version 6.05 (GraphPad, La Jolla, CA, USA). Fourteen participants undertook and completed the study protocol between May 2013 and March 2014. Participant clinical characteristics are summarised in Table 1. All participants, except for one with a physically demanding occupation, engaged in regular leisure time physical activity. Six participants (43%) performed less than the recommended amount of exercise (i.e. <150 min/week of moderate-intensity exercise), and three participants (21%) were involved in regular exercise for 1–2 h/day with a goal of maintaining a high level of fitness. All participants had fasting C-peptide levels <0.1 nmol/l. Changes in circulating free insulin levels are presented by study stage in Fig. 3, and untransformed free insulin levels are presented in electronic supplementary material (ESM) Fig. 1. There was no difference in mean baseline plasma insulin between rest and exercise stages (58 ± 3 pmol/l vs 58 ± 2 pmol/l; p = 0.94). Insulin levels were at steady state during the observation hour pre-basal rate reduction in both stages. Following insulin basal rate reduction, when participants remained rested mean circulating free insulin levels decreased from baseline by 4.9 ± 2.9%, 16.2 ± 2.6% and 18.6 ± 3.2% at 1, 2 and 3 h, respectively, with the difference in levels from baseline reaching statistical significance 75 min post-basal rate reduction. Anti-insulin antibody status did not influence the rate of decline in circulating insulin post-basal rate reduction (p = 0.49). During the hour after basal rate reduction, in the rest stage the mean insulin level went from baseline 58 ± 3 pmol/l to 55 ± 2 pmol/l. During the corresponding hour in the exercise stage (pre-exercise) the insulin level went from baseline 58 ± 2 pmol/l to 52 ± 2 pmol/l. Insulin levels diverged between study stages after exercise onset. Mean free insulin levels increased with exercise, relative to remaining at rest, by 6 ± 2 pmol/l after 15 min, and by 5 ± 2 pmol/l after 30 min of exercise (p < 0.001). Comparing study stages, insulin levels were lower during the 2 h post-exercise completion than the corresponding interval without exercise (p < 0.001). Of note, the hour following exercise completion was characterised by an accelerated fall in circulating insulin (−13 ± 2 pmol/l post-exercise vs −5 ± 1 pmol/l with rest; p = 0.007). The amount of insulin delivered was identical in both study stages, and plasma insulin AUC was only significantly different between the stages post-exercise (ESM Table 1). During the 12 h prior to basal rate reduction, in rest vs exercise stages there were 12 vs 9 episodes of hyperglycaemia (>10.0 mmol/l), and seven vs six episodes of hypoglycaemia (<3.9 mmol/l), respectively. There was no severe hypoglycaemia. These episodes did not impact insulin dosing after 02:00 hours (i.e. no insulin boluses or basal adjustments). During the exercise stage, three participants (21%) required glucose supplementation to prevent or treat hypoglycaemia. One participant had plasma glucose <3.9 mmol/l with symptomatic hypoglycaemia during exercise, reaching glucose nadir 3.2 mmol/l, and was treated with 30 g oral glucose then intravenous 5% dextrose infusion (100 ml/h) until study completion. To maintain normoglycaemia during exercise, two other participants required intravenous 5% dextrose (100 ml/h), which was commenced 90 min and 45 min pre-exercise, respectively, and continued until study completion. Treatment decisions were based upon clinical urgency when meter glucose was <4.4 mmol/l and predicted to reach <2.8 mmol/l within 30 min without glucose intervention, which exercise may have exacerbated. The mean baseline glucose of these three participants requiring glucose supplementation was 5.0 ± 0.1 mmol/l, which was significantly lower than the mean baseline glucose of those who did not require glucose administration during or after exercise (8.4 ± 0.5 mmol/l; p = 0.004). During the rest stage one participant required glucose supplementation to maintain normoglycaemia, and was treated with intravenous 5% dextrose (100 ml/h) from 45 min pre-basal rate reduction until study completion. Insulin delivery did not deviate from the protocol in any participant. There was no hypoglycaemia during the 120 min of observation post-exercise for any participant. The three participants who received glucose supplementation (one in both study stages) were excluded from the following analysis of changes in glucose levels. Mean baseline plasma glucose in the rest stage was 9.4 ± 0.5 mmol/l, and in the exercise stage was 8.4 ± 0.5 mmol/l (p = 0.21, ESM Fig. 2). Plasma glucose levels were at steady state prior to basal rate reduction in each study stage. With rest, following the 50% basal rate reduction there was no significant change in plasma glucose during 210 min of observation (p = 0.86, Fig. 4). Plasma glucose levels increased with exercise and the increase was sustained post-exercise (p < 0.001). Relative to rest, plasma glucose increased by 0.8 ± 0.3 mmol/l after 30 min exercise (p = 0.028). The maximum mean glucose increment in the exercise stage was 1.2 ± 0.4 mmol/l, occurring 30 min post-exercise completion. Current expert guidelines for people with type 1 diabetes using insulin pump therapy recommend a pre-exercise reduction in insulin basal rate to minimise hypoglycaemia risk [22, 23, 24]. In this study of adult insulin pump users undertaking a commonly recommended 30 min moderate-intensity aerobic exercise regimen, we tested these guidelines. Principal study findings are: post-implementation of a basal rate reduction congruent with clinical guidelines, there was a gradual decline in circulating free insulin which did not mirror the reduction in insulin delivery; that a 50% reduction in basal insulin delivery did not prevent hypoglycaemia when pre-exercise glucose levels were low-normal; and paradoxically, despite an insulin basal rate reduction implemented pre-exercise, moderate-intensity aerobic exercise transiently increased circulating free insulin. We observed a decrease in circulating free insulin after the 50% basal rate reduction when participants remained resting of approximately 5%, 16% and 19% at 1, 2 and 3 h, respectively. There was a modest exercise-related insulin level increase, followed by an accelerated decline in circulating free insulin post-exercise, relative to the non-exercise setting. We hypothesise that the observed exercise-related increase in circulating free insulin may be due to increased cardiac output and increased cutaneous blood flow associated with thermoregulation during exercise promoting subcutaneous insulin absorption. The subsequent accelerated decline could be consistent with exercise-related depletion of the subcutaneous insulin reservoir, and mechanical factors such as body movement and/or pressure may also contribute. Altered renal insulin clearance mediated by exercise-related decreases in renal blood flow may also influence circulating free insulin levels. With regard to changes in glycaemia following a 50% reduction in basal insulin delivery with participants remaining at rest, we observed unchanged glucose levels during 3.5 h. In contrast, with exercise, glucose levels rose in participants with baseline glucose >5.5 mmol/l. Of note, this glucose increase paradoxically occurred despite increased circulating insulin with exercise, raising the untested hypothesis of counter-regulatory hormones influencing circulating glucose levels. This plasma glucose rise was sustained during recovery. The accelerated reduction in circulating free insulin levels post-exercise may have contributed to maintaining these elevated glucose levels. For the majority of participants with glucose in the mid- to high-normal range, our study’s 50% basal rate reduction pre-exercise, together with the physiological responses to exercise, was sufficient to prevent hypoglycaemia. However, in three participants (21%) with low-normal glucose levels at exercise commencement, the 50% basal rate reduction alone was insufficient to prevent hypoglycaemia. Previous type 1 diabetes exercise studies have investigated non-analogue insulin therapy, insulin injections, unplanned exercise, or focused on glucose levels alone [19, 21, 34, 35, 36, 37, 38]. The insulin level fall observed in our study was significantly less than that observed in the pump study by Attia et al where insulin delivery was ceased . The modest increase in circulating free insulin associated with moderate-intensity aerobic exercise which we identified is consistent with insulin analogue findings by Admon et al in a paediatric cohort , though contrasts findings by Mitchell et al from the pre-analogue insulin era . This may relate to more rapid absorption of analogue insulin than human or animal insulins. While we recognise the differences between aerobic and anaerobic exercise, our observations in adults are consistent with publications relating to high-intensity sprint exercise increasing glucose levels in adults on insulin pumps . In contrast, published paediatric glycaemic data where insulin delivery was reduced or ceased at the time exercise commenced reported blood glucose reductions with exercise [19, 21]. This may be explained by differences in the timing of the reduction in insulin delivery, duration and intensity of the exercise and the study participant characteristics. Novel findings of the present study relate to the impact of changes in basal analogue insulin delivery, and of exercise itself, on insulin and glucose levels in adults undertaking planned exercise. The changes in basal insulin delivery implemented by the present study protocol are clinically relevant as they are congruent with current guidelines. Therefore, these findings have direct applicability to clinical practice. The study design was robust. Insulin, insulin pumps and infusion lines were uniform. In addition, the protocol incorporated a fixed basal insulin infusion rate overnight, and synchronous identical basal rate reductions in each study stage, in the absence of food or bolus insulin, to achieve steady-state circulating free insulin levels at baseline. By implementing the protocol in the fasting state, we standardised insulin delivery by avoiding boluses characterised by differing insulin:carbohydrate ratios and insulin sensitivity factors. Such variability would have been superimposed on the impact of the basal rate change, and elimination of that potential heterogeneity facilitated interpretation of results in this small cohort. There are study limitations. The standardised exercise protocol does not enable dissection of the relative effects of exercise duration and intensity. Studies with longer duration of observation post-exercise have demonstrated that late-onset hypoglycaemia may occur many hours post-aerobic exercise, often overnight, related to muscle glycogen repletion and increased insulin sensitivity [9, 39]. As we did not follow participants longer than 2 h post-exercise, we cannot comment on late-onset hypoglycaemia. Furthermore, only adults were studied and caution is recommended in extrapolating results to a paediatric population. Finally, counter-regulatory hormone levels were not measured, precluding assessment of their contribution to glucose changes. Our findings reinforce current clinical recommendations for supplemental carbohydrate pre-exercise when blood glucose levels are relatively low . Therefore, when glucose is ≤7 mmol/l prior to exercise, to minimise hypoglycaemia risk we recommend pre-exercise supplementary carbohydrate ingestion and to consider a basal insulin reduction greater than 50%. An extended period of observation post-exercise will be relevant to future research aiming to optimise insulin delivery for exercise. In addition, based on these results we suggest that to achieve clinically relevant reductions in circulating free insulin for exercise, insulin basal rate reductions between 50% and 100% may be required. We recognise that implementing basal rate reductions earlier than 1 h pre-exercise may pose practical challenges for patients as often exercise is unplanned. When basal rate reductions are implemented immediately pre-exercise, larger basal rate reductions, with their more rapid effect on circulating insulin, may be required. For those participants with pre-exercise glucose >7 mmol/l, the impact of the 50% basal reduction 1 h pre-exercise on glycaemia at the time of, and immediately following, exercise was minimal. This was underlined by the minor increase in glucose with exercise in the face of the observed increase in circulating insulin. It could therefore be argued that in these situations the major factor preventing hypoglycaemia during and immediately following exercise is the counter-regulatory hormone response. In individuals with pre-exercise glucose >7 mmol/l, basal insulin reductions greater than 50% may be counterproductive. However, the 50% reduction implemented in the present study may represent the most appropriate option as it resulted in only a minor, clinically acceptable, rise in glucose during exercise, and potentially could diminish the risk of post-exercise hypoglycaemia. Our findings extend beyond exercise. The absence of a rise in glucose levels 3.5 h after 50% basal rate reduction may have clinical relevance in the routine management of people with type 1 diabetes when determining insulin pump settings. For example, basal insulin delivery profiles characterised by frequent minor basal rate changes may not represent optimal clinical care. Our findings suggest further research elucidating changes in circulating insulin following alterations in basal delivery prior to exercise is warranted. Effects of basal rate reductions between 50% and 100% remain to be explored. In addition, the observed exercise-related modest insulin level rise requires further investigation into factors potentially affecting absorption from the subcutaneous insulin depot, and impacting renal clearance of insulin with exercise. The impact of differing exercise types and intensities upon circulating free insulin levels merits research. Finally, we did not measure the contribution of counter-regulatory hormones to glycaemic fluctuations with exercise, and exploration of these hormonal responses in future studies would provide additional insights. The present study provides insights into the effects of a commonly recommended insulin pump regimen for aerobic exercise on circulating free insulin and glucose levels. The results address a gap in the literature and may help inform clinical practice. Although insulin pumps have the capability to precisely and flexibly vary basal insulin delivery into subcutaneous tissue, the results of the present study suggest that this precision in delivery is not reflected in circulating insulin levels and action. Decreasing insulin pump dosing pre-exercise according to current type 1 diabetes practice guidelines did not significantly reduce circulating free insulin levels during exercise. A concerning minority remained at risk of hypoglycaemia. This suggests that for people with type 1 diabetes with pre-exercise glucose levels in the lower half of the target range, reductions in basal insulin delivery pre-exercise should be greater than current guidelines, and be accompanied by supplemental carbohydrate, in order to prevent early exercise-induced hypoglycaemia. The authors thank all the volunteers for their participation and enthusiasm. We also thank Medtronic for providing glucose sensing materials. This project was funded by grants from the Australian Diabetes Society ADS-Sanofi Diabetes Research Grant programme, the Medical Research & Technology in Victoria programme supported by The Hugh DT Williamson Foundation, and the Lynne Quayle Charitable Trust Fund managed by Equity Trustees. SAM is supported by a University of Melbourne postgraduate scholarship. ALG is supported by a Career Development Scholarship from the National Health and Medical Research Council and a Future Leaders Fellowship from the National Heart Foundation of Australia. AJJ is supported by a Sydney Medical School Fellowship from the University of Sydney. No funding source had a role in the study design or conduct; collection, management, analysis, or interpretation of the data; or preparation, review, or approval of the manuscript. The non-profit employers of the authors have received grant support from Medtronic for other investigator-initiated studies. AJJ and DNO have previously received honoraria from Medtronic. All other authors declare that there is no duality of interest associated with their contribution to this manuscript. SAM was involved in all aspects of the study, and wrote the first draft of the manuscript. JCH and JLG contributed to acquisition of data. GMW provided laboratory expertise, and contributed to the analysis and interpretation of data. ALG contributed to study design, and interpretation of data. AJJ and RJM contributed to study conception and interpretation of data. DNO contributed to study conception and design, acquisition of data, and interpretation of data. All authors contributed to revising the manuscript critically and approved the final version. SAM and DNO are the guarantors of this work.